IT feels like a vicious cycle. and you finally publish it for the world to see. After a week or so, you go through your ClickPerfect account to see how well your piece did only to find that a majority of your traffic came and left without engaging with your content after reading it. And there it is, like they have vanished likely never to be seen again. You give a small sigh of frustration, but what can you do? So you hunker down and do it all over again. See what I mean? Vicious. Cycle. But what you may not know is that there is a marketing tactic that makes it possible to help get these people back and really engaging with you and hopefully, buying your products. It’s called Retargeting, and it’s awesome. In this article, I’ll give you a rundown of what retargeting is and how it works in a real life setting you’re bound to encounter. Once you see how powerful it can be, I’m sure you’ll be itching to learn more. In a perfect world, 100% of the traffic that comes to your site would opt-in to your email list and become a customer without even batting an eye at handing over their money. But people don’t work like that. In this day and age, people rarely engage with a site or brand the first time they come in contact with it which means that you’re losing out on a lot of potential customers. In fact, many people agree that it takes about seven instances of contact before a person will buy from you. What retargeting does it helps to keep you in front of people that come and go from your site to keep you on their mind so that they are more likely to come back and become a customer. It can be a somewhat subtle but powerful way of using your marketing budget to focus on growth. Just for an example of what this looks like in action let’s look back at that vicious circle above but with a touch of remarketing added to the mix. A person comes to your blog and reads your new piece of content but they do nothing other than that. Now, instead of them vanishing into thin air doomed to forget you, because you’re using remarketing you’ve ensured that they will see a few more branded ads to keep their interest piqued. That way, when they go back to surfing the web an ad of your site pops up on someone else’s blog. Then, this un-engaged person of yours suddenly remembers that they read your article and liked it, so they click back through to your site from this ad where they browse your content again, share a post and finally add themselves to your email list. Just like that, you’ve managed to reel in someone who was interested in what you had to offer but got distracted along the way. If you hadn’t put retargeting practices in place, then you would have lost this person altogether or at most, taken much longer to convert them. With this example, you’re moving someone from a stage of awareness to conversion, but this is just one example of how and when to use it. Can you guess what is one of the most powerful platforms for using retargeting on? If you guessed, Facebook, then you would absolutely right. With more than one billion active users, Facebook has a huge ecosystem of people who not only use the social platform but who are also likely to visit your site. By using Facebook’s ad platform, you can create custom audiences that allow you to create an ad campaign specifically for the people in different stages of your funnel. For example, you can run a certain ad to someone who has already purchased a low-dollar product so that you can help move them to buy a high-dollar one. Or, you could run ads to people who haven’t been on your site for awhile so that you keep them engaged and turn them into long term customers. I could write an entire course on how to get started with Facebook retargeting ads, but for now, here is a great video by Digital Marketer to give you a rundown of how easy it is to actually create a retargeting ad. Retargeting is a great method to test with the rest of your marketing strategy. 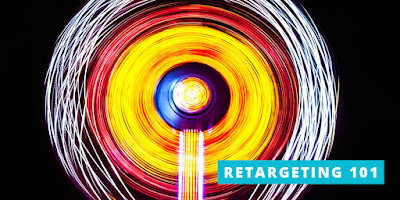 Like email marketing, retargeting is one more powerful, conversion-centric tactic that could help increase leads, income, and customer loyalty if done correctly. While email marketing is no doubt the top dog in the marketing world, it’s important to keep up with other tactics that can really help your business succeed. Would you ever consider giving retargeting a try? You haven’t until today? Well, if you’re ready to get started, click through for a free trial of ClickPerfect and let us help you on your retargeting journey! You have? And you think it’s as great as we do? Or maybe you’re still on the fence? Whatever your thoughts or experience, let’s keep the conversation going. Click like, share the post and tell us how you feel in the comments below. #DIGITAL: Retargeting: What Is It and How To Use It?